We’re entering another Chicago winter. The wind, lack of sun and bitter cold tend to keep Chicagoans indoors. But before you enter hibernation mode, it’s time to drink some of Chicago’s finest winter beers. 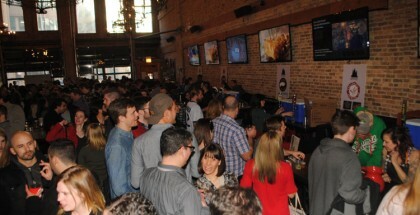 What better place to do so than at the Chicago Ale Fest on February 2. This year, the festival makes its way to Pilsen, where Lacuna Artist’s Lofts will host. 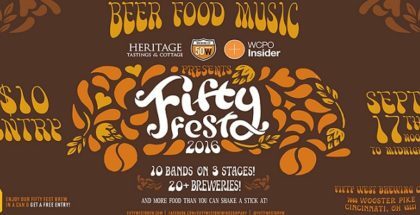 The festival boasts live music, food trucks and more than 100 beer pours from over 40 breweries. It will be a day off full of fun, surprises, mouth-watering munchies and plenty of strong, hearty ale to keep you warm until spring. I had a chance to catch up with Josh Seago, founder and president of Lou Dog Events, to see what to expect from this year’s winter beer festival. What have you done to make Chicago Ale Fest stand out from other Chicago beer festivals? The coolest thing about Chicago Ale Fest that separates us from other fests is the emphasis on the winter seasonals. Think lots of barleywines, stouts, barrel aged beers and double/triple IPA’s. Chicago is a summer city and people usually attend beer festivals in the warm weather that are outside. This is different It is a way to experience Chicago winter beers that keep you warm during the winter months. It’s a great way to get out and cure the cabin fever! This is the fourth year and it has always been pretty popular. Get your tickets fast before they’re gone. What are some new additions to the line-up this year you’re excited about? We require the breweries to bring winter beers and will have a lot of seasonal, heavy, dark beers. There will still be IPAs and pale ales, but it is the perfect opportunity to try winter beer. We are also bringing in five Chicago food trucks and will have lots of non-drinking related activities for people to do. In between sampling, you can play foosball or giant Jenga! We’ll also be doing something called “Secret Bombers.” We ask the participating breweries to bring something unique and creative in a 22 oz. bomber. We throw all those bombers in an ice tub, grab one, open it and pour it to whoever is in line. Once the bomber is gone, it’s gone. This will be fun because people won’t know what they’re getting until they’re next in line. Also making an appearance is Scuba Steve, a fictional character we created for this event. It’s a guy dressed up in scuba gear with a CO2 tank full of beer. He walks around the festival and fills thirsty festival go’ers glasses with whatever he is pouring this year. Last year he had Bourbon County Stout, and it was a big hit. 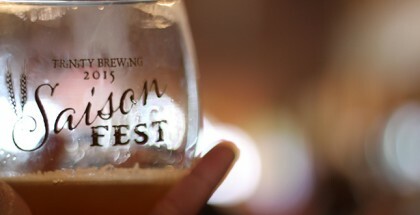 It is kind of fun and something a lot of other beer festivals don’t have. Lacuna Artist’s Lofts: What made you pick this location? Chicago’s Pilsen neighborhood is on fire right now! There’s a lot going on and it was ranked as one of the most exciting neighborhoods in Chicago. We plan to take over the entire first floor of the building and give people the opportunity to move around in a non-traditional venue that has a lot of character. Tell us about this infusion tent…. We purchased four Dogfish Head randalls. Each randall has two chambers. We have four different infusion recipes paired with four different beers. You load ingredients of the infusion recipe in the first chamber and infuse it with the beer in the second. This brings out wonderful flavors that complement the beer that we are showcasing in each randall. 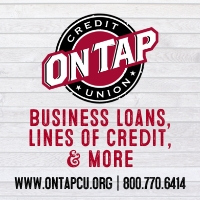 Care to share the scoop on any special or unique tappings you’re aware of? We work pretty closely with the breweries to make sure we have a nice selection of different styles. 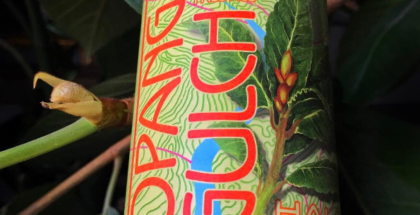 We want beers that are surprising and not readily available in the liquor stores. Here is a list of participating breweries and food trucks. Ready to drink some great Chicago beer? Get your tickets now!